La Verne W. Noyes was born on 7 January, 1849, in Genoa, New York, in the house (see the lower photo) of Leonard R. Noyes (1815-1891) and Jane Jessup Noyes (1820-1896). 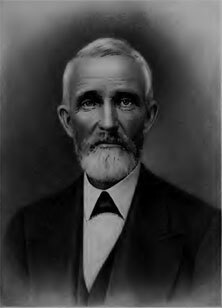 La Verne was a heir (8th generation) of the early settler Rev. James Noyes (1608-1656), who migrated to the new world from England, with his wife Sarah and his brother Rev. Nicholas Noyes (1615-1701), aboard the Mary&John of London, on 23 March 1634, and settled in Massachusetts Bay Colony. Leonard (see the nearby photo) and Jane Noyes had four children: Amanda Malvina (1839-1856), Frances Adelia (1842-1931), Samuel Jessup (1844-1863, killed in the Civil War), and La Verne W. (1849-1919). 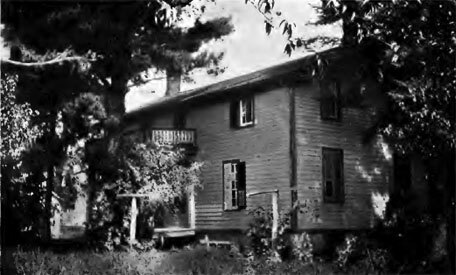 The family resided in Genoa, New York, until the fall of 1854, when they removed to Springville, Iowa, where Leonard obtained a farm and built a big house. La Verne attended Cornell College in Mt. Vernon, Iowa. Then he enrolled at Iowa Agricultural College (now Iowa State University) in 1868 and graduated with a B.S. (1872) in general science as a member of Iowa State's first graduating class. He later was awarded an honorary Doctorate in Engineering from Iowa State for the success of his inventions and the promotion of higher education. La Verne began his career as an inventor when he went to work as a laboratory technician at Iowa Agricultural College. He eventually left his job at the college and went into business for himself by producing and marketing tools, machines and devices of his own invention. 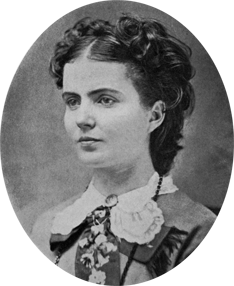 On 24 May, 1877, La Verne married to Ida Elizabeth Smith (see the nearby photo), whom he had met in college. The charming and smart Ida (16 Apr. 1853–5 Dec. 1912), was a teacher, who received her B.S. from Iowa Agricultural College in 1874. One of La Verne's most successful inventions resulted from Ida's difficulty in holding their heavy unabridged Webster's dictionary—La Verne designed a wire dictionary holder to aid his wife, and soon patented the device for sales throughout the United States. 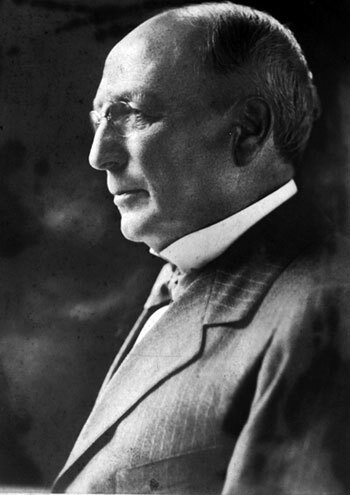 Thus in 1879, La Verne sold his hay-tool business and started a book holder manufacturing company. In 1879 the Noyeses moved to Chicago, where Ida followed her ambition to become an artist by enrolling at the Art Institute. There La Verne continued to patent farming machinery, which he sold to implement manufacturers, and his Noyes Dictionary Holder sold modestly well. Noyes's most lucrative invention came in 1886, when he (actually his engineer Thomas Perry) devised the aermotor, a device that converted wind to electricity. 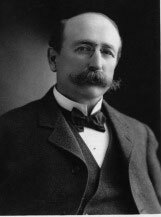 Thus Noyes became interested in manufacturing windmills and in 1887 he started the Aermotor Company in Chicago (the company still exists!). It manufactured some of the first steel windmills and became the leading manufacturer of windmills in the country. It also manufactured the first steel towers used for electrical transmission lines. In 1884 Noyes became coinventor and assignee with Andrew Stark of two rather interesting adding machines (see adding machines of Stark and Noyes). With the success of La Verne's business enterprises, the couple was able to lead a progressively more comfortable life and establish their residence in an elegant mansion at 1450 North Lake Shore Drive. Ida enjoyed traveling around the world, spending months and years away from Chicago and her husband, visiting and making a lot of photos from France, Italy, Egypt, Algeria, Tunis, Israel, Turkey, Spain, India, China, Burma, Hawaii and Japan. La Verne would occasionally join her on these trips, but his manufacturing business made it difficult to leave the city for extended periods of time. Unfortunately, in 1912 Ida Noyes felt ill and died on 5 December. Her death was a crushing personal blow for La Verne. Seeking to honor his wife with an impressive and fitting memorial, he decided to give the University of Chicago a gift of $500000 to build a magnificent new women's clubhouse—Ida Noyes Hall, opened in 1916. Moreover, in his last and most extraordinary gift, Noyes established the La Verne Noyes Foundation at the University in 1918. With this foundation Noyes provided tuition scholarships to veterans of World War I and to their descendants. To finance this endowment, Noyes deeded all of this property, including his home and manufacturing plant, to the University of Chicago—a gift worth $2.5 million, a huge sum for the time. La Verne Noyes died on 24 July, 1919, in Chicago, and was buried in Graceland Cemetery.